It's Easter Time! — Word-Strong It's Easter Time! When I see bright-colored eggs and chocolate bunnies in pastel-colored displays, I know it must be near Easter. Unless you understand the calendar timing of Easter Sunday, you probably have to check online like I do to find when Easter falls each year. Easter isn't a big marketing holiday but stores do their best to feature lots of eggs, egg-coloring dyes, baskets, and chocolate and marshmallow bunnies and chicks. And don't forget the food! Ham is a favorite along with some scalloped potatoes or au gratin perhaps, and if you're traditional, some hot-cross buns. But what are we celebrating with all of this? Is there a difference between Easter and Resurrection Sunday? Well, yes and no. And what about all those other traditional days people observe like Ash Wednesday, Lent, Palm Sunday, Maundy Thursday, and Good Friday? How are all of these things related or are they? Exactly! I think there's a lot of confusion about what is being celebrated and, of course, lots of back and forth about how Christians should celebrate Easter Sunday. Easter Sunday is a big celebration for Christian churches. Not only is it an important celebration, it's one of those Sundays when a lot of people who don't normally go to church attend a service, especially if it's a sunrise service. Our church holds an Easter sunrise service at the beach each year and it's a beautiful and well-attended celebration. I'm partial to sunrise services because it connects so well with the story of the Lord Jesus' resurrection in all four of the gospels. Back to the question of whether there's a difference between Easter and Resurrection Sunday? There is but some background on other more traditional observances of the church needs to be considered first. Ash Wednesday is the beginning of the Lenten season that runs for forty days up to Easter Sunday. It commemorates Jesus' fasting in the wilderness for forty days and His temptation by the devil at the end of the fasting (Matt 4:1-11). It's observed as a time to give up some pleasure or part of daily life routine as a sacrifice. It was not observed by the early church but developed and set as a church observance in 325 BC. It's observed mostly by Catholic churches and many traditional Protestant churches. Palm Sunday combined with the final days before Easter Sunday are considered Holy or Passion Week. The Paschal Triduum includes three important days. Which ones? It depends on who you ask or what you accept as the three most important days. The title is drawn from Pascha, the Greek equivalent to the Hebrew Pesach for the Passover. The Passover or Seder Supper is based on the first Passover in Exodus 12, which was fulfilled by the Lord's atoning death on the cross. Which three days? Traditionally it's been Good Friday, Holy Saturday, and Easter Sunday but others, including me, opt for Maundy Thursday, Good Friday, and Resurrection Sunday. Palm Sunday is the Sunday before Easter Sunday. It commemorates Jesus entering Jerusalem on a donkey as He was hailed by crowds of people crying out, "Hosanna (Oh Save!) to the Son of David!" (Matt 21:1-11). It is the beginning of Holy Week that concludes with Easter Sunday. Although the early church didn't observe it, the church in Jerusalem started to observe it about the late third or early fourth century. When Jesus entered Jerusalem that day it was a fulfillment of a Messianic prophecy (Zech 9:9; Matt 21:4-5). Sadly, many in the crowd who waved palm branches and shouted out "Hosanna!" to hail whom they believed to be the Messiah later yelled out, "Crucify Him!" (Matt 27:15-26). It illustrates how quickly emotions and opinions can change people's minds regardless of the truth. Maundy Thursday commemorates the last night Jesus spent with His closest followers as told in John chapters 13 through 17. It begins with Jesus washing the disciples' feet, which included His betrayer Judas (John 13:1-17), on the night He ate the Passover feast with them (Luke 22:14-23). The word Maundy is taken from the Latin word for command in acknowledgment of the Lord's new commandment to love one another as He loved us (John 13:34-35). This is something that needs to be remembered and practiced far more often than once a year! 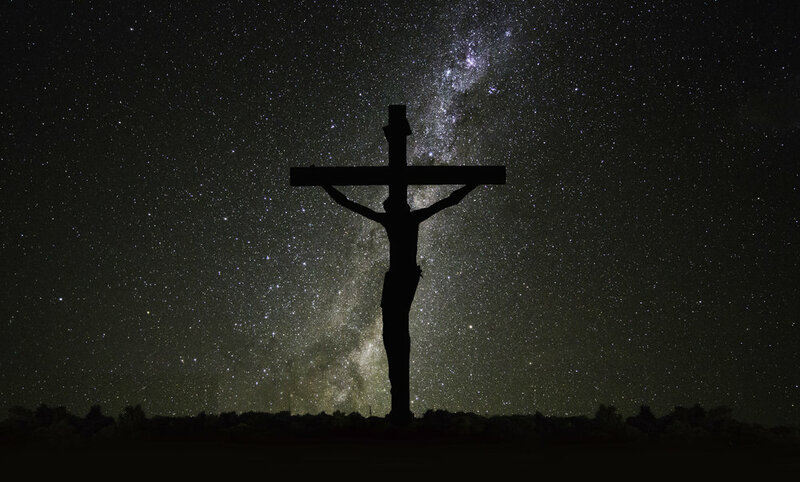 I remember participating in Good Friday services as one of a group of pastors in the community where we shared on one of the last seven sayings of Jesus on the cross. It was a good reminder of how we are one Body—one Church unified by Jesus and His work of redemption on the cross. My first time in the Philippines was on Good Friday where the whole country virtually comes to a standstill to observe this solemn day with processions and prayers. As believers, we need to reflect on the atoning death of Jesus—the Lamb of God (John 1:29). Not just for His sacrifice but the purpose of His sacrifice. When Jesus was lifted up on the cross on Golgotha (John 19:17-18), He fulfilled the Passover once and for all (Heb 9:12, 26; 10:10, 12). This is why it is Good Friday! It may have originally been God's Friday but morphed into Good—like God's spell (story) became Gospel. The very purpose of Jesus dying on the cross was to provide a way for all humanity to be reconciled with God the Father. God came to earth Himself as the Son of God to offer Himself for all people. All of Jesus' earthly ministry and presence was focused on this day followed by His resurrection—His death and resurrection cannot and should not be separated in our understanding of God's work of redemption. And so, it is Good Friday but remember—as an old hymn declares—Sunday is coming! Holy Saturday is the official end of the Lenten season. It's also called Black Saturday in the Philippines and other places. It's a reminder of Jesus' burial in the tomb. But thankfully, it's not the end of the story! Although most of us know this day of celebration as Easter, I prefer the use of Resurrection Sunday because it expresses what's most important. 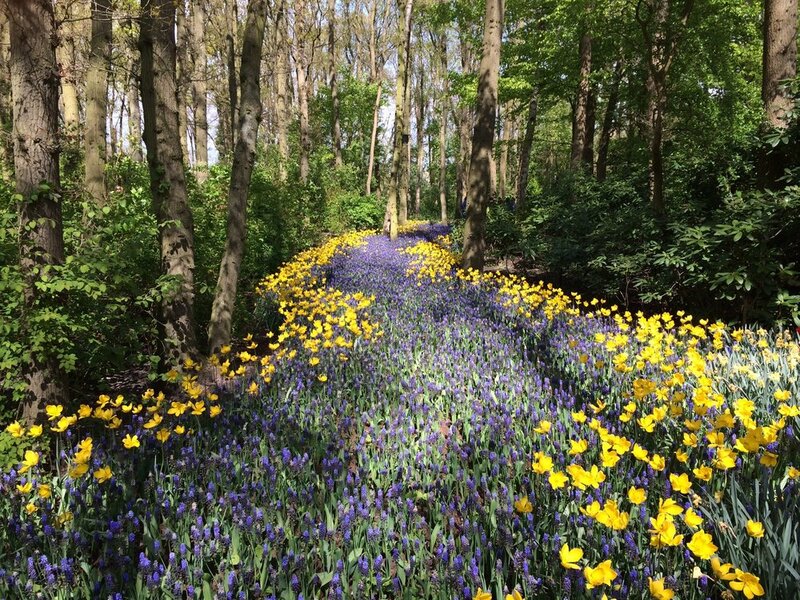 It's uncertain how it became known as Easter but an early connection to its origin is to the Saxon goddess of spring, Eastre. The important thing is to distinguish the difference between how the world around us observes Easter and why believers celebrate it. Without the physical resurrection of Jesus from the dead, there is no hope of eternal life and there is no true redemption (1 Cor 15:13-17). The resurrection of the Lord Jesus on the third day after His death was the primary focus of the gospel for the early church, as seen throughout the book of Acts. It is central to Christian theology. 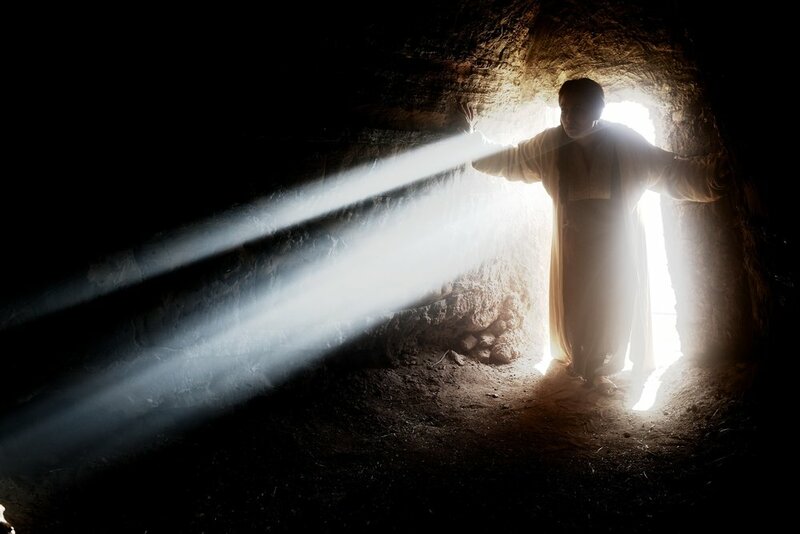 The hope of salvation and eternal life hang on the physical resurrection of Jesus. It's what the Lord pointed the disciples to before and immediately after His death and resurrection (Matt 16:21; Luke 24:44-47). The resurrection came on the first day of the week (our Sunday) and was the first true Christian holiday observed by the early church and the reason they began to meet on the first day of the week rather than on the last day. So, what are you celebrating on Easter? It's easy to react to the idea of a pagan origin to Easter but the resurrection of Christ is biblical and important. It really doesn't matter what you call the day (Rom 14:5-9). What is important is why we celebrate it. A traditional greeting for Resurrection Sunday is for one person to say, "He is risen!" and for others to reply, "He is risen indeed!" That is the essence of our hope in Jesus. A simple way to get a true perspective on Holy Week, or Passion Week if you prefer, is to read the account of it all in the Bible. Sometimes it's easy to lose sight of the power of the story—God's story of redemption through His Son Jesus—trying to sort out the what and why. Not that understanding isn't important, it is, but understanding often comes as we immerse ourselves in the story itself. When you read—allow yourself to soak in all that is written, even read it aloud, so you can see it with your mind's eye. Reading more dynamic versions of the Bible may help and you can also listen to audio versions of the Bible. Newer PostHow Do We Follow the Example of Our Good Shepherd?